This week we travel to Belgium, where archaeologist Jeroen De Reu will tell us about some remains from the First World War excavated near Ypres. I am Jeroen De Reu, postdoctoral researcher at the Department of Archaeology; Ghent University (Belgium). 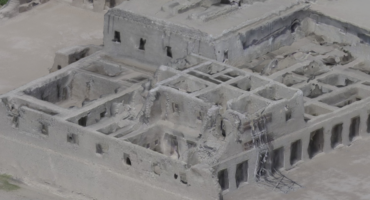 I started applying image-based 3D reconstruction in 2011, with the aim at developing a time-efficient and cost-effective (especially when compared to range-based 3D reconstruction methods) 3D documentation of archaeological excavations, both in academic and private/commercial archaeology. The scale of the 3D recordings ranges from small artefacts, over excavations to entire archaeological landscapes. For the image acquisition I use both handheld and UAV photography. Ground control points, used for georeferencing the 3D models, are collected with a differential GPS with RTK corrective. Agisoft PhotoScan is, in most cases, used to build the 3D models. The resulting models are imported in both a 2D (e.g. derived orthophoto and digital surface model) and a 3D geographic information system (GIS) to integrate them with other archaeological (excavation) data. Thus, we collect 3D data as a tool for scientific analysis, rather than for means of visualisation. This particular model shows a cross-section of a WWI trench, excavated in Flanders Fields near Ypres (Belgium) in 2014. The model shows a soldier’s jacket lying on the floor and what remains of a chair standing in the corner of the trench, likely a look-out position. It is a scene, buried for almost 100 years, giving an impression of the soldier’s tough life in the trenches. This scene is only one of the many 3D recordings made on the archaeological evaluations and excavations conducted on the trajectory of an 80 km long gas pipeline, crossing the WWI front zone in Flanders. 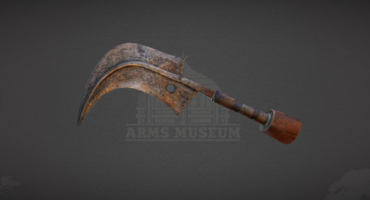 To see more of Jeroen’s models here on Sketchfab, check out his profile.